This is me… the ISFJ! It’s not 100%… but it’s pretty darn close. 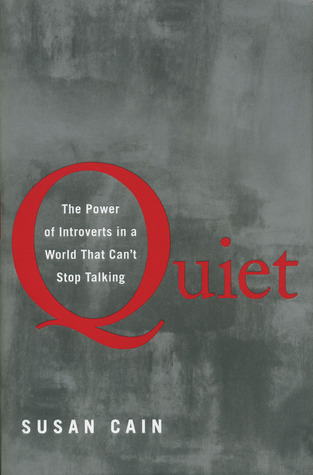 While we’re on the subject, I also highly recommend reading this book: Quiet: The Power of Introverts in a World That Can’t Stop Talking. I know there are a ton of books out there on the subject, but this one really drew me in for some reason. I grew up being called shy and quiet and everything else your typical introvert hears on a daily basis. As corny as it sounds, this book has helped me understand myself better and I think it could be a super important read for any extroverted parents with introverted kids. Or for anyone, really. It’s important not only in home life, but work, school, and everything else. The more you understand yourself and those around you, the better your working and personal relationships can be! That’s my thought of the day. Happy Tuesday! It is freaky how accurate it is! I took the test and came out INFJ. It’s quite fascinating.